Managing state with the new React Context API is very easy. Learn what the differences with Redux are and how to use it in this practical tutorial. TL;DR: The React Context API isn't a new thing on React's ecosystem. However, the React's 16.3.0 release brought a lot of improvements to this API. These improvements are so overwhelming that they greatly reduce the need for Redux and other advanced state management libraries. In this article, you will learn, through a practical tutorial, how the new React Context API replaces the need for Redux on small React applications. "Learn how to migrate from Redux to the new React Context API in this practical tutorial." To be clear, in this context, state management means handling changes that occur upon a particular event that occurs on a Single Page App (SPA). For example, events like the click of a button or an async message coming from the server can trigger changes to the app's state. The state of the entire app is stored in a single object (known as the source of truth). To change the state, you need to dispatch actions that describes what needs to happen. You cannot change properties of objects or make changes to existing arrays. In Redux, you must always return a new reference to a new object or a new array. If you are not familiar with Redux and you want to learn more, please, check this practical tutorial on Redux. The React Context API provides a way to pass data through the component tree without having to pass props down manually to every level. In React, data is often passed from a parent to its child component as a property. Passing the initial state to React.createContext. This function then returns an object with a Provider and a Consumer. Using the Provider component at the top of the tree and making it accept a prop called value. This value can be anything! Using the Consumer component anywhere below the Provider in the component tree to get a subset of the state. As you can see, the concepts involved are actually not that different from Redux. The fact is, even Redux uses the React Context API underneath its public API. However, only recently the Context API reached a level of maturity high enough to be used in the wild. As mentioned, the goal of this article is to show you how the new Context API can replace Redux for small apps. Therefore, you will start by creating a simple React app with Redux and, after that, you will learn how to remove this state management library so you can take advantage of the React Context API. 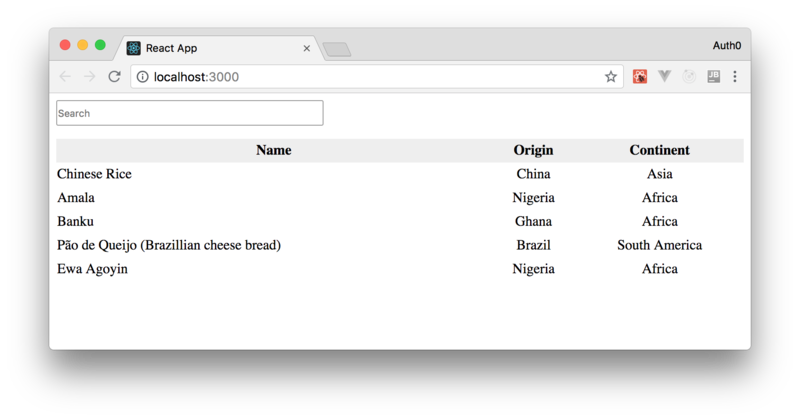 The sample application you will build is an app that handles a list of some popular foods and their origin. This app will also include a search functionality to enable users to filter the list based on some keyword. As this article uses only React and some NPM libraries, you will need nothing else than Node.js and NPM installed in your development machine. If you don't have Node.js and NPM yet, check out the official installation procedures to install both. Note: redux is the main library and react-redux is a library that facilitates the interaction between React and Redux. In short, the latter acts as a proxy between React and Redux. foods.json: This file will hold a static array of foods and their origin. reducers.js: This file will manage the state of the Redux version of your app. actions.js: This file that will hold the functions that will trigger changes in the state of the Redux version of your app. As you can see, there is nothing special about this file. It is just an array of different food from different countries. In the code above, you can see that the reducer function receives two parameters: state and action. When you start your React application, this function will get the initialState defined right before it and, when you dispatch instances of an action, this function will get the current state (not the initialState anymore). Then, based on the contents of these actions, the reducer function will generate a new state for your app. With this action creator in place, the next thing you need to do is to wrap your App component into the Provider component that is available on react-redux. This provider is responsible for making your single source of truth (i.e., the store) to your React app. // Creating the store using the reducers info. // That's because reducers are the building blocks of a Redux Store. That's it! You just finished configuring Redux in your React app. Now, you have to implement the UI (User Interface), so your users can use the features implemented in this section. For those not used to Redux, the only thing that they might not be familiar with is the connect function used to encapsulate the App component. This function is actually a High Order Component (HOC) that acts as the glue between your app and Redux. Done! You now have a basic React and Redux app and can start learning about how to migrate to the Context API. In this section, you will learn how to migrate the Redux version of your app to the React Context API. Fortunately, as you will see, you won't really need to do a lot of refactoring to switch between Redux and the Context API. With these changes in place, you can rewrite your app with the Context API. To convert the previous app from a Redux powered app to using the Context API, you will need a context to store the app's data (this context will replace the Redux Store). Also, you will need a Context.Provider component which will have a state, a props, and a normal React component lifecycle. The Provider class defined in the code above is responsible for encapsulating other components inside the ThemeContext.Provider. By doing that, you enable these components to have access to your app's state and to the searchTermChanged function that provides a way to change this state. To consume these values later in the component tree, you will need to initiate a ThemeContext.Consumer component. This component will need a render function that will receive the above value props as arguments to use at will. Done! You just finished migrating from Redux to the React Context API. If you run your app now, you will see that the whole thing is working just like before. The difference now is that your app is not using Redux more. "The new React Context API s a great alternative to Redux in small React applications." As you will learn in this section, you can easily secure your React applications with Auth0, a global leader in Identity-as-a-Service (IDaaS) that provides thousands of enterprise customers with modern identity solutions. Alongside with the classic username and password authentication process, Auth0 allows you to add features like Social Login, Multifactor Authentication, Passwordless Login, and much more with just a few clicks. To follow along the instruction describe here, you will need an Auth0 account. If you don't have one yet, now is a good time to sign up for a free Auth0 account. Then, you can move into your new React app (which was created inside a new directory called react-auth0 by the create-react-app tool), and start working as explained in the following subsections. then select Single Page Web Applications as its type. and hit the Create button to end the process. After creating your application, Auth0 will redirect you to its Quick Start tab. From there, you will have to click on the Settings tab to whitelist some URLs that Auth0 can call after the authentication process. This is a security measure implemented by Auth0 to avoid the leaking of sensitive data (like ID Tokens). So, when you arrive at the Settings tab, search for the Allowed Callback URLs field and add http://localhost:3000/callback into it. For this tutorial, this single URL will suffice. That's it! From the Auth0 perspective, you are good to go and can start securing your React application. auth0.js: This is the default library to integrate web applications with Auth0. react-router: This is the de-facto library when it comes to routing management in React. 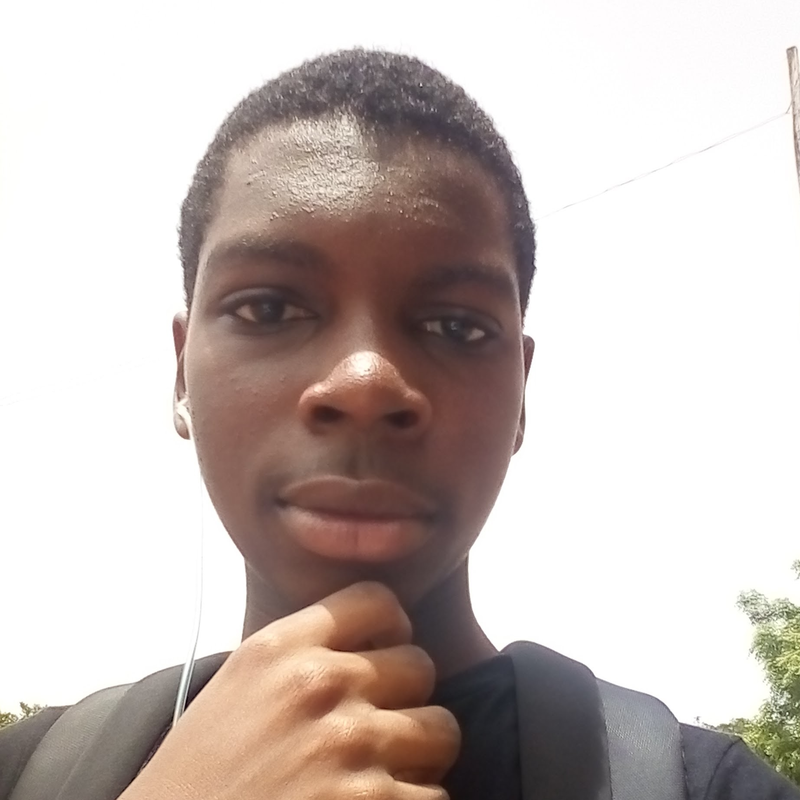 react-router-dom: This is the extension to the previous library to web applications. Note: As you want the best security available, you are going to rely on the Auth0 login page. This method consists of redirecting users to a login page hosted by Auth0 that is easily customizable right from your Auth0 dashboard. If you want to learn why this is the best approach, check the Universal vs. Embedded Login article. getProfile: This function returns the profile of the logged-in user. handleAuthentication: This function looks for the result of the authentication process in the URL hash. Then, the function processes the result with the parseHash method from auth0-js. isAuthenticated: This function checks whether the expiry time for the user's ID token has passed. login: This function initiates the login process, redirecting users to the login page. logout: This function removes the user's tokens and expiry time. setSession: This function sets the user's ID token, profile, and expiry time. Besides these functions, the class contains a field called auth0 that is initialized with values extracted from your Auth0 application. It is important to keep in mind that you have to replace the <AUTH0_DOMAIN> and <AUTH0_CLIENT_ID> placeholders that you are passing to the auth0 field. Note: For the <AUTH0_DOMAIN> placeholders, you will have to replace them with something similar to your-subdomain.auth0.com, where your-subdomain is the subdomain you chose while creating your Auth0 account (or your Auth0 tenant). For the <AUTH0_CLIENT_ID>, you will have to replace it with the random string copied from the Client ID field of the Auth0 Application you created previously. Since you are using the Auth0 login page, your users are taken away from the application. However, after they authenticate, users automatically return to the callback URL that you set up previously (i.e., http://localhost:3000/callback). This means that you need to create a component responsible for this route. This component, as you can see, is responsible for triggering the handleAuthentication process and, when the process ends, for pushing users to your home page. While this component processes the authentication result, it simply shows a message saying that it is loading the user profile. In this case, you are actually defining two components inside the same file (just for the sake of simplicity). You are defining a HomePage component that shows a message with the name of the logged-in user (that is, when the user is logged in, of course), and a message telling unauthenticated users to log in. Also, this file is making the App component responsible for deciding what component it must render. If the user is requesting the home page (i.e., the / route), the HomePage component is shown. If the user is requesting the callback page (i.e., /callback), then the Callback component is shown. Note that you are using the Auth service in all your components (App, HomePage, and Callback) and also inside the Auth service. As such, you need to have a global instance for this service, and you have to include it in your App component. After that, you are done! You just finished securing your React application with Auth0. If you take your app for a spin now (npm start), you will be able to authenticate yourself with the help of Auth0, and you will be able to see your React app show your name (that is, if your identity provider does provide a name). How to manage profile information of authenticated users. How to properly call an API. How to control which routes users can see/interact with. How to deal with the expiry time of users' tokens. Redux is an advanced state management library that should be used when building large scale React apps. The Context API, on the other hand, can be used in small-scale React apps where byte-sized changes are made. By using the Context API, you do not have to write a lot of code such as reducers, actions, etc. to work out the logic exhibited by state changes. © 2013-2019 Auth0 Inc. All Rights Reserved.